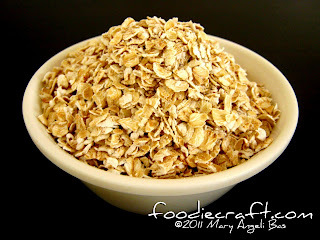 Everybody knows that oatmeal is one of nature's power foods. It is abundant in nutrients and is very economical. 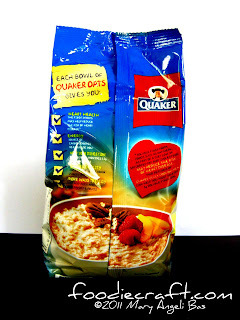 Quaker Oatmeal is one of the most old and classic oat brand in the world. It is usually tagged as breakfast cereal but can be used in all kinds of recipes. 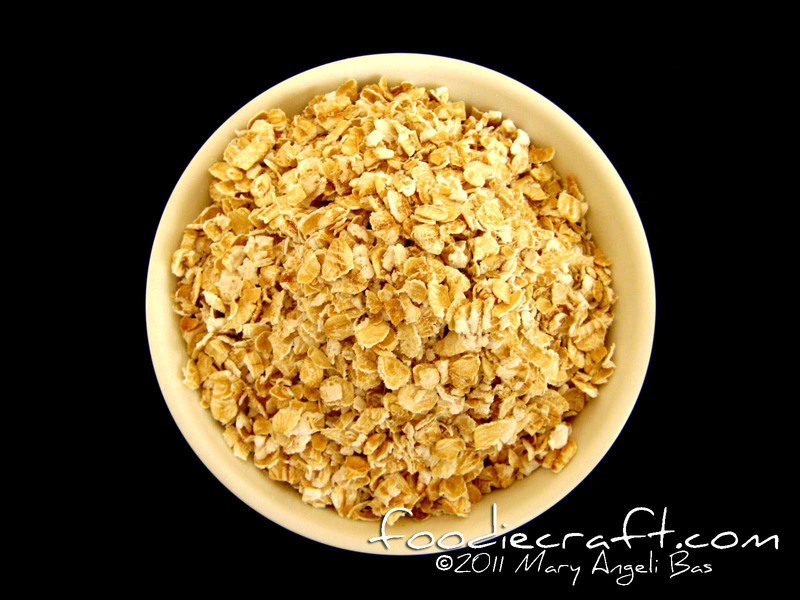 It's one of the easiest touch cereals to cook and work with. 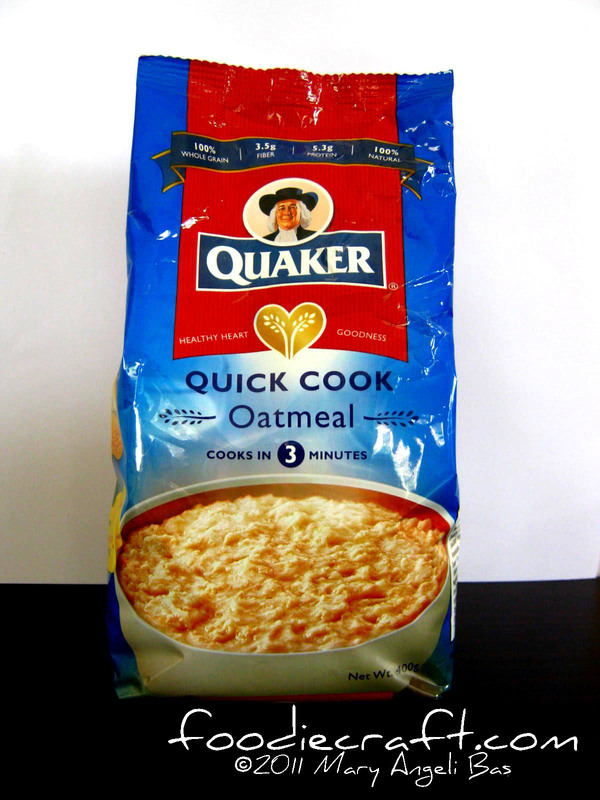 This is 3-minute cook Quaker Oatmeal in original flavor. 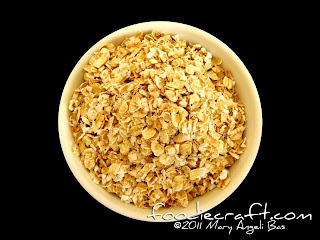 It has a pleasant smell of fresh whole grain. It looks hard but it isn't. It's in pale white color with brown tints. 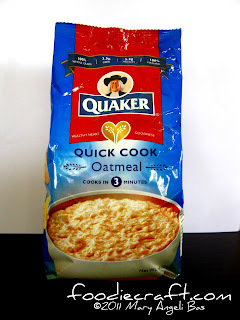 Quaker Oatmeal is simply tasty. 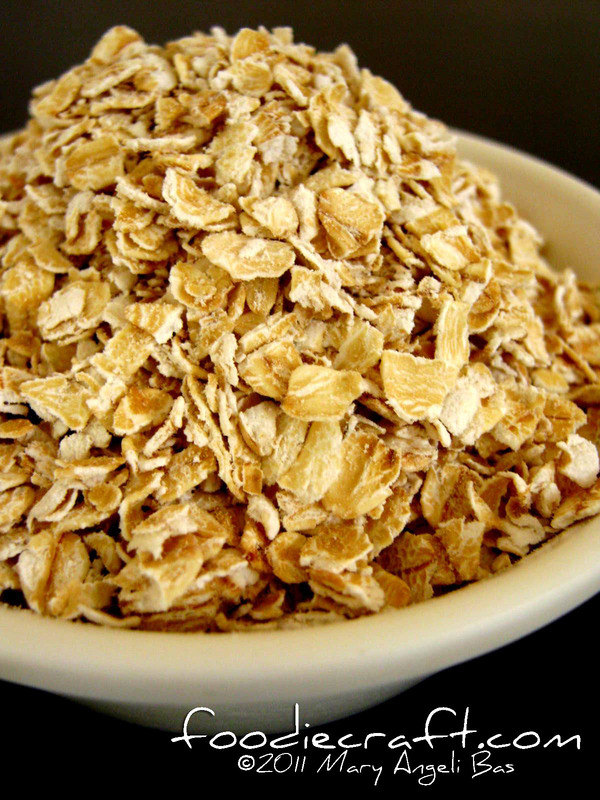 If you want it milky, add a bit of water moments before you end your cooking. 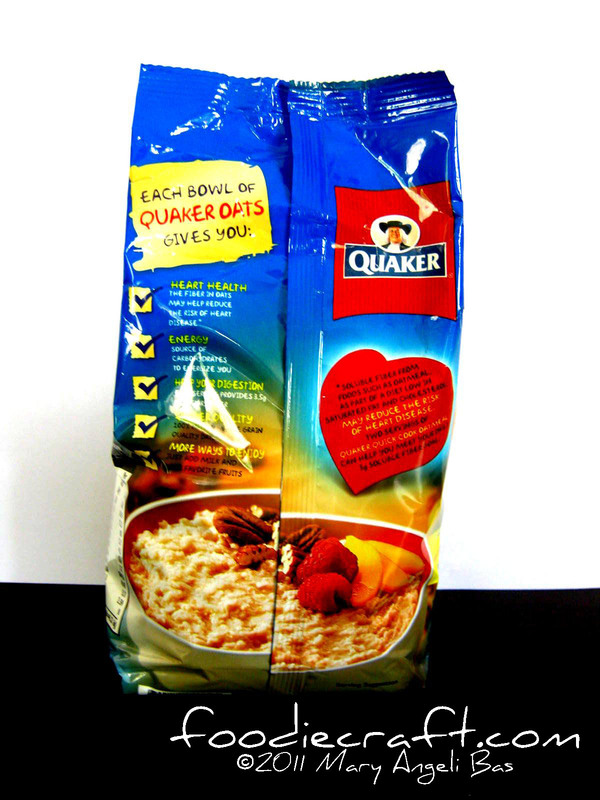 If you think it's bland then it's overcooked.